A downtrend is consider ending when 1) the price fail to make lower low, 2) start making higher high. 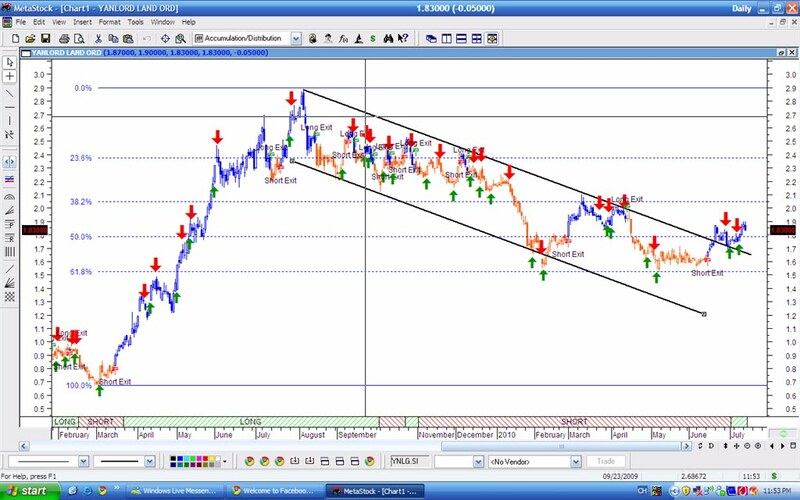 Drawn Fibonacci on Yanlord's chart, it retrace to the 61.8% level and fail to make a lower low . CSI system gave 2 buy signal few days ago. 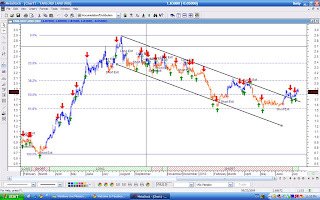 A possible trend reversal.